What will a 3PL need to know to quote you? Companies are utilizing 3PL services for their warehousing and shipping needs more often than ever. Many of the companies who choose to shift their operations to third parties are e-commerce entities that specialize in producing and selling a product and don’t want to run a storage and shipping facility. Others are traditional distributors, retailers, and others who believe that they should focus on core competencies. If your company is considering a 3PL for its warehousing, shipping and logistics needs, what information do you need to have ready? Companies have a “usual suspects” lineup of reasons to consider 3PL assistance: They could need help handling rapid growth; they might want to increase response times, shipping rates, or reduce errors. Some need to reduce product damage and returns, and feel a 3PL could execute these initiatives better. Many times, it’s cost-related, as the investment it takes to set up integral warehousing are high, and the demand for expertise are critical. Popular factors can include an overflow of stock, a problem with an existing supplier or the need to have logistics experts in a firm’s supply chain. It’s frequently to save time and money. Because 3PLs have multiple facilities and can tap space and storage easily, one strong reason is operational flexibility and the ability to ship to various regions in tight windows. Critically, a 3PLs can continuously optimize operations and technology as they compete for business advantage with rival 3PLs and internal operations. Each industry is unique, and will challenge 3PLs in different ways. It’s ideal for 3PLs if their facilities are configured to deal with relatively broad types of loads, storage and order picking needs. Certainly, any 3PL should be able to deal with typical unit, case or each-pick inventory. 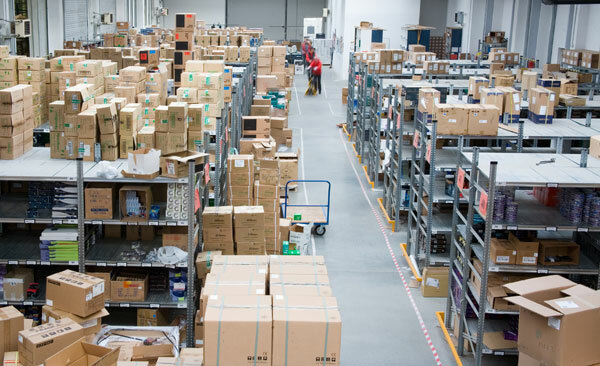 While certain facilities are specialized (think cold storage, or specialized picking operations), and require special processes and equipment, a successful 3PL should be able to adapt its existing facilities to most of your needs. You’ll want a flexible partner that can adapt to changes in your business, SKU spikes, order volumes, etc. What kind of volume will you send to your 3PL? The amount of inbound freight, its packaging/presentation (pallets, crates, cartons, bulk), and its timing are factors you should have a handle on. Will it be easy to putaway? Will it require any kind of processing once it arrives? Have as much specific information as possible. What are your handling requirements? Once you know how frequently inbound freight will arrive, and in what shape, there should then be a focus on what it will take to handle, process and ship that freight out. What types of picking (full case, split case, each, pallet) will your products require? Are order volumes consistent, or will they require unpredictable levels of labor? Will you want your 3PL need to handle returns? Will the service need to package or re-package anything? Freight doesn’t just come in one size, and a 3PL will need to know the minimum height, maximum height and average height of pallets to determine the right storage solutions. The quantity of pallets stored will also give a better understanding of the scope of service a 3PL will need to schedule. SKU codes, amount of orders per week and the quantity of order lines per order are just some administrative requirements that will factor into a 3PLs quote. Armed with this information, a 3PL can provide a detailed quote that aims to satisfy customer needs and showcase a long-term commitment. Like any other service, you’ll do better comparing 3PL providers the more information you have available upfront to help them understand your needs. Many options will be available to you, and you should weigh them based on the best possible information.